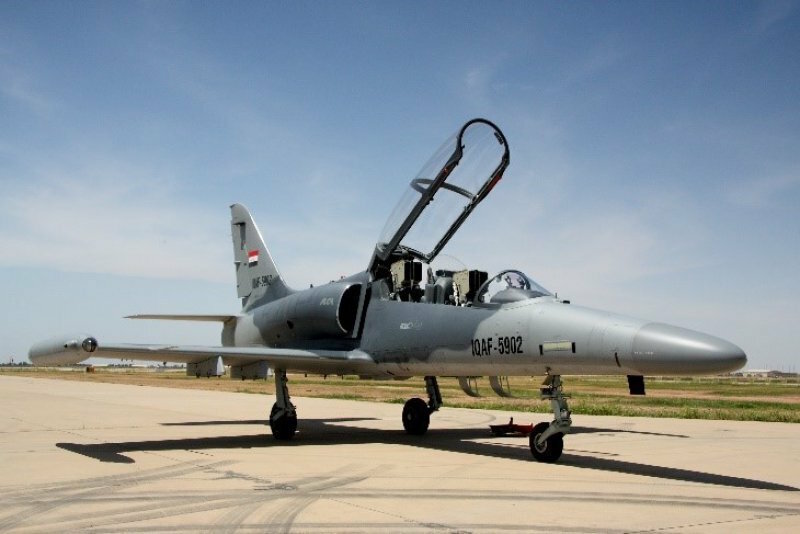 On Sunday, May 20, 2018, the Iraqi Air Force (IQAF) at Balad Air Base received a two-seat training aircraft the L-159T1, the fuselage number IQAF-5902. This is a two-seater delivered as a part of contract for the L-159 system delivery between AERO Vodochody Aerospace a.s. and the Ministry of Defense of Iraq. The aircraft handover ceremony was attended by the IQAF commander, Czech Ambassador to Iraq Jan Vycital, and representatives of the Ministry of Defense of Iraq. The aircraft was delivered to the IQAF commander, after a symbolic check flight and a brief flight demonstration, by the commander of the 115th Squadron IQAF. The Iraqi commander flew the newly delivered aircraft together with the factory pilot of Aero Vodochody.